Rich in aromatic spices, herbs, and flavourings, Asian food explodes deliciously in your mouth. Now, thanks to Leemei Tan, home cooks can easily master the art of preparing this delectable cuisine. 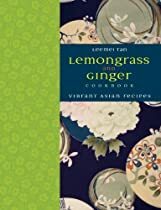 She explains how to make perfect sushi, creamy curries, spicy stir-fries, and crisp tempura, and work with noodles, kaffir lime leaves, or wasabi. From Korean Spicy Seafood Noodle Soup and Japanese Pork Dumplings to Thai Green Papaya Salad and Indian Aubergine Curry, these imaginative recipes will inspire and delight, whether you have in mind a quick weekday meal or a feast for friends and family.